Home Your World Aged care: what does the future hold? Aged care: what does the future hold? The Australian Dental Association’s pre-Budget submission to the Federal Government could create better oral health for older Australians, more regular patient visits for dentists and substantial savings for both State and Federal Governments. It’s a win-win-win submission and ADA president Rick Olive believes the government will give it a fair hearing. The ADA’s long-term plan is for a targeted national oral healthcare scheme that would address the needs of all disadvantaged Australians. However, in the current political/economic climate, the Association concedes that’s probably impracticable. As an interim measure, the Association’s recent submission asks the Federal Government to focus on older Australians living on limited incomes. The ADA has proposed an Aged Pension Dental Benefits Schedule (APDBS). Oral disease is much more prevalent in older Australians, who grew up pre-fluoride. More than 50 per cent of people over 65 have gum disease or periodontitis and 20 per cent have complete tooth loss. Those who have retained some of their teeth often require complex restorations (crown, bridge, implants), which need careful maintenance, and problems arise when motor or cognitive skills are impaired. So their needs are not always simple. Moreover, people on limited incomes, such as pensions, are more likely to postpone dental consultations, which exacerbates problems. Then, when disaster strikes (perhaps an abscess or infection), they might visit a hospital emergency department or their GP, which are covered by Medicare, rather than make an appointment at the dentist. In 2010-11, more than 850,000 GP visits were attributed to dental concerns, and the vast majority of these could have been avoided with regular dental care. In the same time frame, the Australian Institute of Health and Welfare gives a conservative estimate of 60,590 potentially preventable hospitalisations as a result of dental problems. All this is costly and, as the population ages, it will become more so. The Australian Institute of Health and Welfare reports that in 2012-13, Australia’s total expenditure on dental care was $8.7 billion. While individuals account for the bulk of this ($5 billion), governments also contribute a substantial sum. Over those 12 months, the Australian Federal Government contributed almost $1 billion and the States and Territories contributed $657 million, but that was not the whole story. There are substantial indirect costs to the Government that result from poor oral health, and older Australians contribute to those costs significantly. Good oral health is crucial to overall health. For example, periodontal disease is more common in people with diabetes and it exacerbates the problem by limiting the patient’s diet, which can lead to further increases in blood sugar and diabetic complications. Similar associations have been found between periodontal disease and heart disease, and links have also been suggested with osteoporosis, respiratory disease, aspiration pneumonia and even some cancers. These are all problems that are particularly prevalent amongst older Australians and those in aged care facilities are at greater risk. 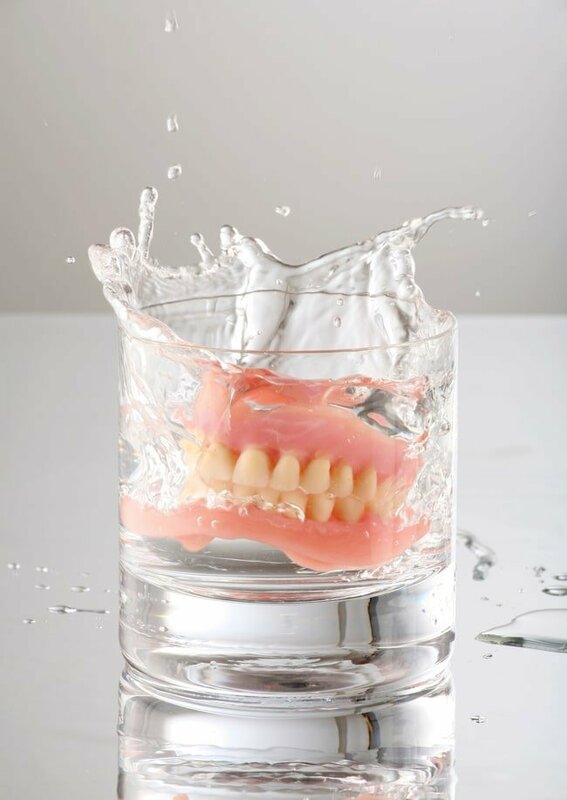 Studies indicate that older people in residential care are more likely to accumulate plaque deposits on natural teeth and dentures, increasing their risk of developing aspiration pneumonia. Dislodgement of teeth, fillings and calculus, and ill-fitting dentures exacerbate the problem. Moreover, a study published in the Australian Dental Journal in 2014 found that nursing home residents have high levels of untreated decay. Plainly, a visit to the dentist is less painful, less costly and less life-threatening than a bout of pneumonia. So, the ADA recommends that special provisions be made within the APDBS to provide for the needs of aged care facility residents. “I know a lot of dentists who have arrangements to visit aged care facilities,” Dr Olive says, “and there have been State Government trials that have been very encouraging.” But substantial problems remain and the ADA would like to see them addressed. The ADA’s proposal for an APDBS has been modelled on the already existing Child Dental Benefits Schedule (CDBS). “The CDBS commenced at the beginning of last year,” Dr Olive explains. “It’s targeted, it’s based on a means test and the cost to the government in the first year of operation was $290 million. They delivered four-and-a-half million services for that. So, we think that formula is working very well. The primary differences would be that the APDBS would target Australians who receive the full age pension and that an expanded schedule for dental services would apply (as older patients have more complex dental needs). Otherwise, for dentists, the systems would operate almost identically. The most significant change they might notice would be a greater number of older Australians making appointments and coming back for regular check-ups. Moreover, the scheme would fund itself. “We’ve costed it, for the first four years, at about $267 million per year,” Dr Olive explains. The cost of not doing it—in paying for the treatment of abscesses and infections and potentially life-threatening conditions for which people need to be hospitalised—is so much greater. The ADA’s pre-Budget submission is to improve oral health for older Australians. All those savings would be made by eliminating the costs that arise from dental neglect in this age group. There would also be an immeasurable improvement in quality of life (and in some cases longevity) for older Australians.